In a recent St. Patrick’s Day celebration, throngs of thousands of party-goers, decked in green and thoroughly intoxicated, lobbed bottles, cans and even snowballs at police officers who tried to disperse the disruptive crowds in North Amherst in western Massachusetts. Meanwhile, EMS crews, paramedics and emergency room staff were coping with combative, drunk patients who were dangerously intoxicated – and just plain dangerous. Bars and restaurants had to call for help on numerous occasions in trying to break up fights or quell disorderly patrons. And on the roads, as workers made their way to various job sites in the early morning hours, they encountered numerous drunk drivers. Our Boston workers’ compensation attorneys know that emergency crews, hospital employees and entertainment venue staffers tend to be well-trained to cope with intoxicated individuals who pose a risk to themselves and others. They are ready on and around holidays such as St. Patrick’s Day – especially in Massachusetts, where Irish heritage is a source of great pride. 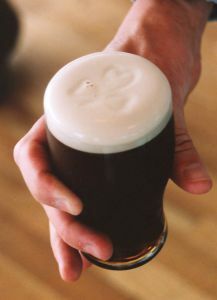 But escaping the holiday without a work-related injury on St. Patrick’s Day should be more than just a matter of luck. A lot of times, when we think of workers being injured in a workplace violence incident, we think of a loan gunman who is mentally unstable. Sometimes, that happens. But aggressive encounters are almost status quo for emergency crews. While most employers have an inherent responsibility to provide a safe working environment for their workers, police agencies don’t really have that luxury. However, they – and all employers that know their workers may be put at risk in these situations – need to equip their staff with the appropriate training, tools, back-up and protections to ensure the risk of harm is minimized. Even a little foresight can go a long way. For example, throughout this month, a number of restaurants, bars and clubs are offering St. Patrick’s Day specials with cascades of cheap drinks and discounts on pub crawls, some starting as early as 10 a.m. These locations also need to consider offering deals on food and non-alcoholic drinks. Also, programs that provide inexpensive or free taxi services to keep revelers off the roads could exponentially improve safety amid the celebrations. Police and EMS workers are always on the alert for a potentially dangerous situation and tend to be well-equipped to tamp down an escalating situation. EMS workers responding to these events were given helmets and turnout gear to protect from hurled bottles and other debris. But of course, it’s never full-proof, and the risk of being hurt on the job is always a concern. In the Amherst celebrations, there were many reports of patrons and partiers being injured, but only one officer was reportedly hurt, after suffering a minor wrist injury. This is nothing short of a miracle, considering that the fact that individuals were arrested for offenses such as: disorderly conduct, failure to disperse from a riot, assault with a dangerous weapon, arson for trying to alight furniture and minors in possession of alcohol. We sincerely hope we are lucky this year, and that this minor injury will be the extent of workplace injuries this holiday weekend.